This dairy-free version of the beloved winter classic, gingerbread people cookies, will fill your home with holiday scents of ginger, cinnamon, and nutmeg. They are great on a cold winter day with a cup of hot cocoa or dairy-free chai. In a medium-sized mixing bowl, combine flour, baking soda, ground ginger, cinnamon, nutmeg, and cloves. Set aside. In a large mixing bowl, cream margarine and brown sugar with a hand mixer or standing mixer with paddle attachment until fluffy, about 4 minutes. Add molasses and beat well, about 2 minutes. Add in egg and beat until well combined. In several additions, add the dry mixture, beating until mixture just holds together. Divide dough into three batches. Wrap each section in plastic wrap and chill in the refrigerator for one hour. Preheat oven to 350 F. Line two large baking sheets with parchment paper. Set aside. Lightly flour a countertop or work surface, and, working with one section at a time, roll out dough until about 1/4 inch thick. 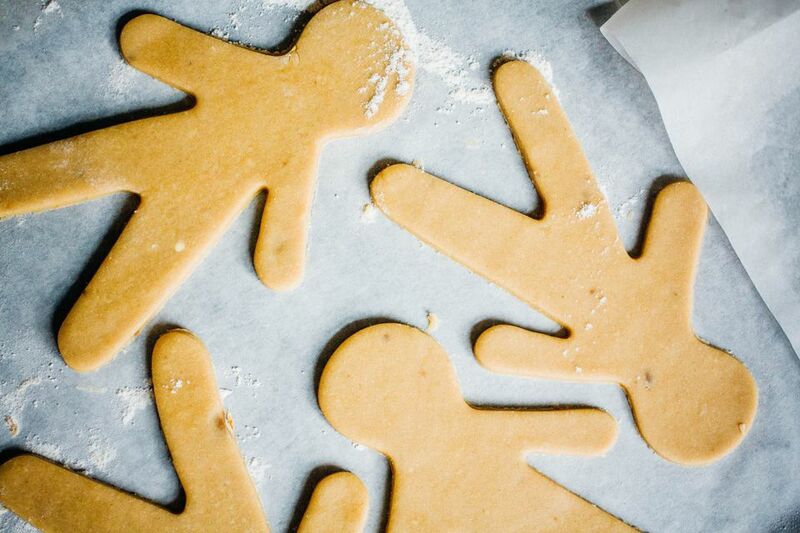 Using a cookie cutter dipped in flour, cut out individual cookies and place on prepared sheets. Place sheets in the freezer for 15 minutes. Working in batches, bake cookies for 12-15 minutes, until lightly browned. After removing the pans from the oven, allow cookies to remain on pans for about 2 minutes before placing on a cooling rack to finish cooling. This recipe is suitable for dairy-free and lactose-free diets, but as with any recipe intended for persons with allergies or dietary restrictions, make sure to read all nutritional labels carefully to make sure that there are no hidden dairy-derived ingredients (or other allergens, if these apply to you).